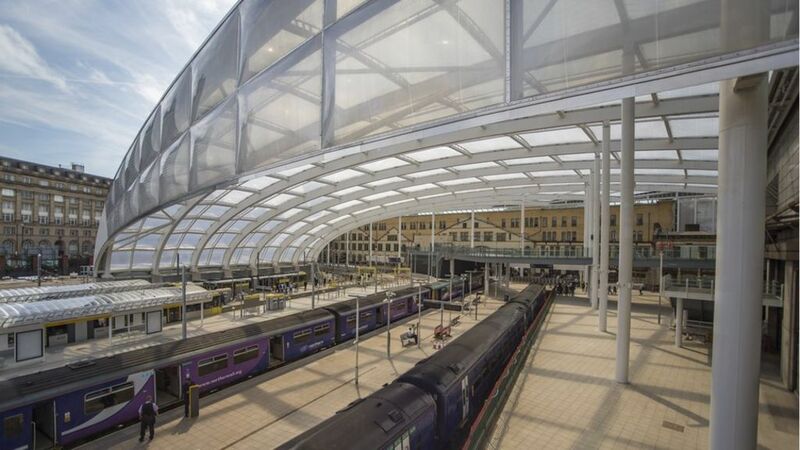 Manchester's Victoria railway station officially reopens following a £44m upgrade. Looking south towards the Bury electric platforms at Manchester Victoria in 1990. Black 5 no 44910 simmers alongside the platform at the west end of Manchester Victoria station on a quiet afternoon in July 1968.